Double bar stud girdle for Small Block Chevy with 7/16" studs. Stud girdle is made from heavy duty aluminum and features an anodized finish. Polylock rocker arm nut style. 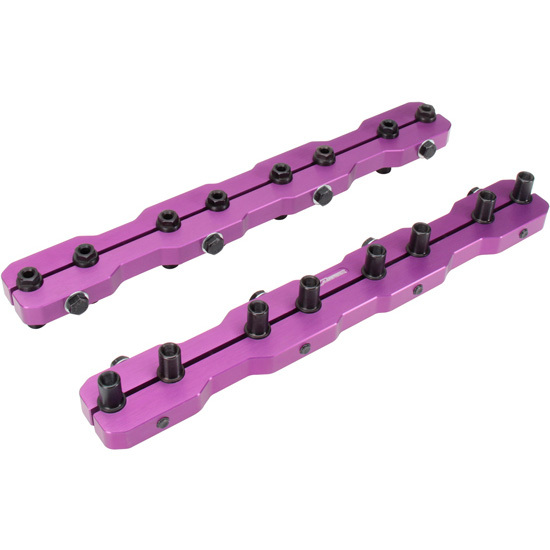 Please note that the polylocks provided have an outside diameter of 0.589" at the rocker arm and may not clear some rocker arm applications that utilize the 0.559" slot width. Polylock set # 915-99804 may be additionally required for some applications.